M L Moos writes YA fantasy and has short stories published with the podcasts, 600 Second Saga and Tall Tale TV. Her current works in progress include The Ambassador's Daughter and The Suncatcher Stone. Continually aspiring author, and perpetually young mom, she lives in Washington with her husband, two sons, and a cat with a Napoleon complex. She bakes oddly shaped bread, volunteers at her church as long as it doesn't involve a stage, and watches chick flicks and Disney princess movies to counteract the all the testosterone in her house. And if her humming bothers you, you'll have to tell her because she probably doesn't realize she's doing it. Since Moos seems to have an endless supply of writing craft topics – for me to talk about, mind you – I’m left wondering when exactly I’m supposed to update you on her progress. That is why I took over this blog after all. So I’m just going to start with the updates here and make you all wait for the writing craft stuff. Every day there’s a new word prompt, and the challenge is to write a story in one tweet that includes that word. It’s been a lot of fun and has really helped improve my skills with word economy. So I thought I’d share some of my favorites here. Enjoy! I was listening to a recent Writing Excuses podcast episode and, while this might surprise some of you, the topic was really riling me up. I considered blogging about it for today, but the more I wrote and contemplated it, the more frustrated and opinionated I got. I don’t get riled up and ranty very often, and I’m almost never public about it, so I decided to forgo that blogging path. Confrontation and debate are not among my strengths. But that left me trying to decide what to write about and it occurred to me how few people these days make this decision. Ivy talks about description. Again. Okay mortals, Moos has gotten countless questions about this over the years, so I’m gonna clear things up for you. And no, this isn’t just a recap of the Character Description post I did awhile back. This is completely different. Just read it, okay! Here’s the truth. Describing stuff is easy. The chair is blue. See? Easy. Describing stuff well? Now that’s hard. Really hard. First of all, apologies. I seem to have mistaken Tuesday for Wednesday, and then I had to rewrite half of this post due to syncing issues, so perhaps we can just pretend today is Wednesday and this post isn’t a day late. Yeah? Awesome! As Ivy mentioned this past weekend, I’m starting a new blog segment that I’m calling Moos’s Musings. In these posts I’ll share my thoughts and opinions on some creative work I’ve read, watched, observed, etc. It may be a book, a movie, a new creative tool of some sort. Works I’ve consumed that I happen to have an opinion on. So, if I happen to see a movie, read a book, or try something new and feel like sharing my thoughts, I will do so with a new Moos’s Musings. Because mooses do like to muse on occasion. First of all, I should announce that after today I will be taking a break from interviews for the summer. I’ve had a lot of new developments in the past couple weeks and I’m starting to get a little overwhelmed. So for the summer there won’t be any Wednesday posts, unless something crazy happens and I need to update y’all. So, without further ado, let’s get to this last and most fabulous author interview! 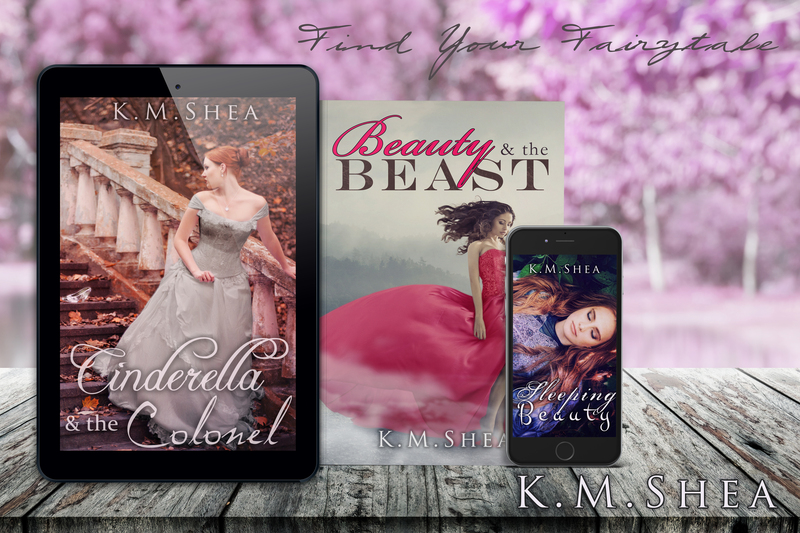 This week I get to introduce to you a new favorite of mine, K. M. Shea. She’s written countless fairytale retellings, the King Arthur and Her Knights series, and her most recent book, Red Rope of Fate. I haven’t explored the King Arthur books yet, but the twists she puts on those fairytales are phenomenal! I read Beauty and the Beast twice in one sitting. So if fairytales are your thing, these books are a must! Once upon a time Elle made a mistake. A small miscalculation sends her through the roof of an enchanted chateau. Stranded until her broken leg mends, Elle is unwillingly forced to rely on the good will of the sour chateau owner —the cursed Prince Severin. 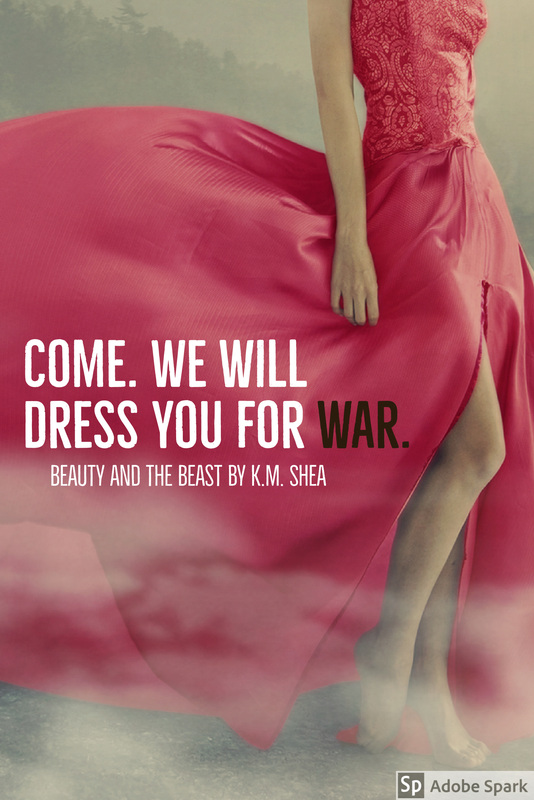 Prince Severin—the commanding general and staunch supporter of his brother the crown prince—is cursed to look like a beast until a maiden falls in love with him. He has given up all hope of shattering the curse and has only disdain for Elle. Unfortunately, the pair can’t seem to avoid each other thanks to the meddling of the chateau’s cursed servants. Eventually Elle’s playful manners and Severin’s hidden gentleness draw the pair together.